Before I talk about today's post, I would like to thank Reverse Confetti for having me as their 'Fetti Friend for September and October. I really enjoyed crafting and creating projects,using their new release. For my last post as their 'Fetti Friend, I made a masculine card.I made this card for someone very dear to me. As we know, masculine cards can be a real challenge. I used the pattern paper Abundant Autumn 6x6 Pad to go behind the Triangles Cover Panel. 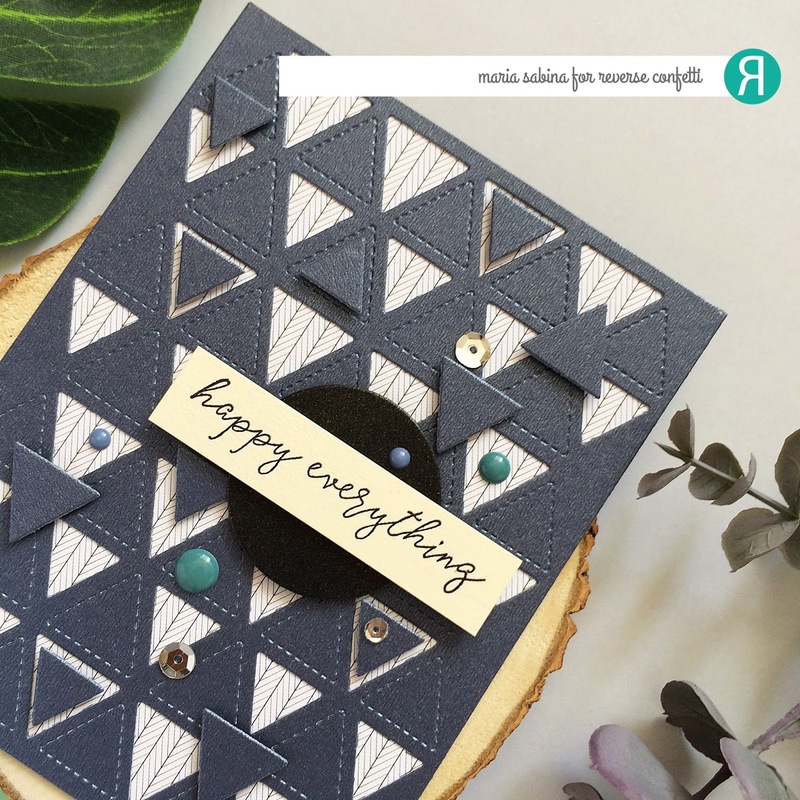 I used the triangles and some fun foam for some dimension.I like layers, but with the masculine cards to be honest, I don't know where is enough.So I kept the rest of the card really simple with a circle die from Bag & Tags Creator Confetti Cuts and the sentiment from Cotton & Thistles. 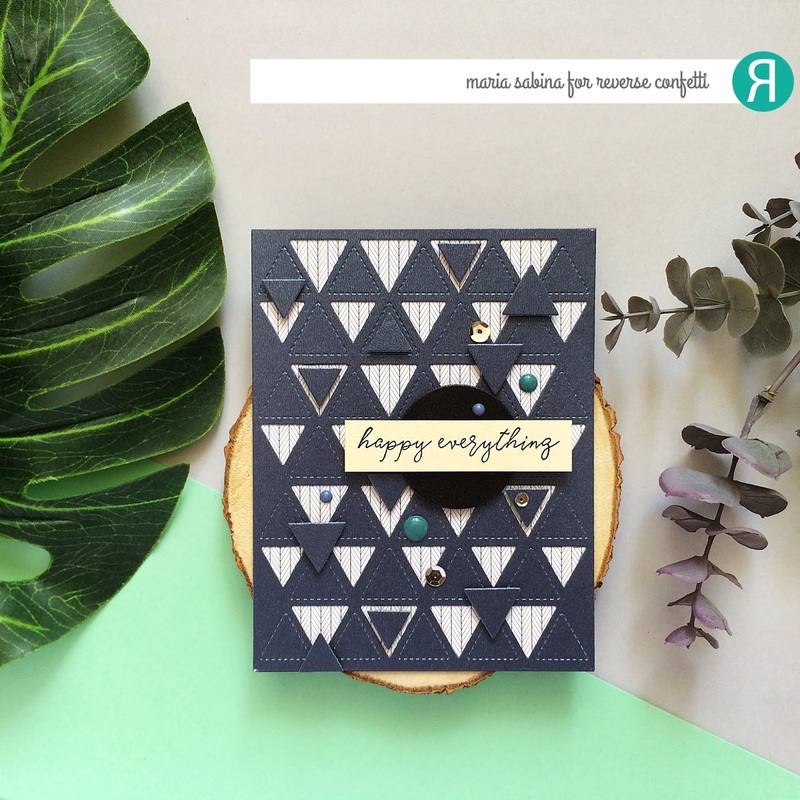 Reverse Confetti has some wonderful designs for you. You can also check other their blog for inspiration and updates. Thank you for stopping by today! Have a wonderful and creative day! We have absolutely loved having you as a Fetti Friend. All of your projects have been AMAZING. Today's is absolutely Gorgeous!!!! !